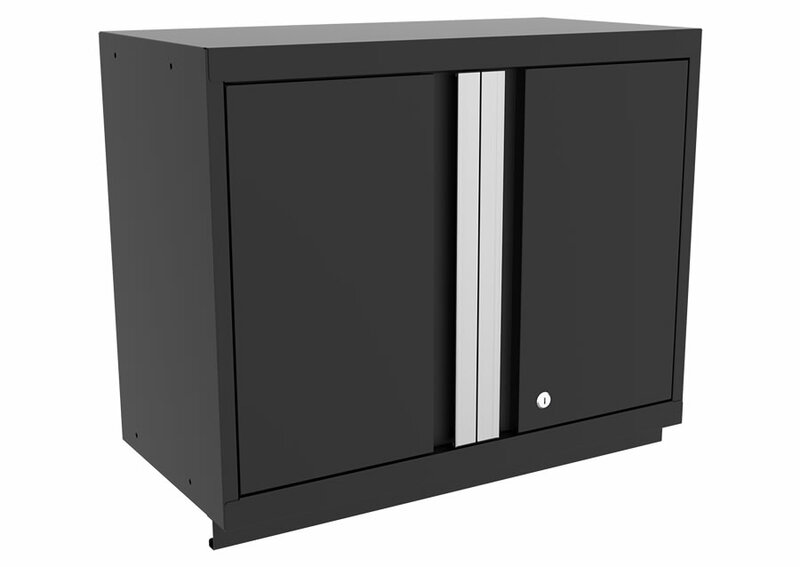 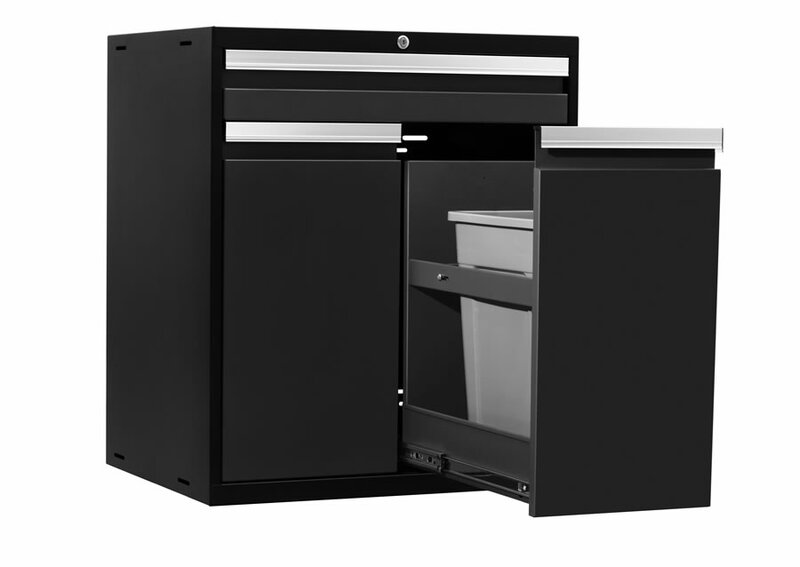 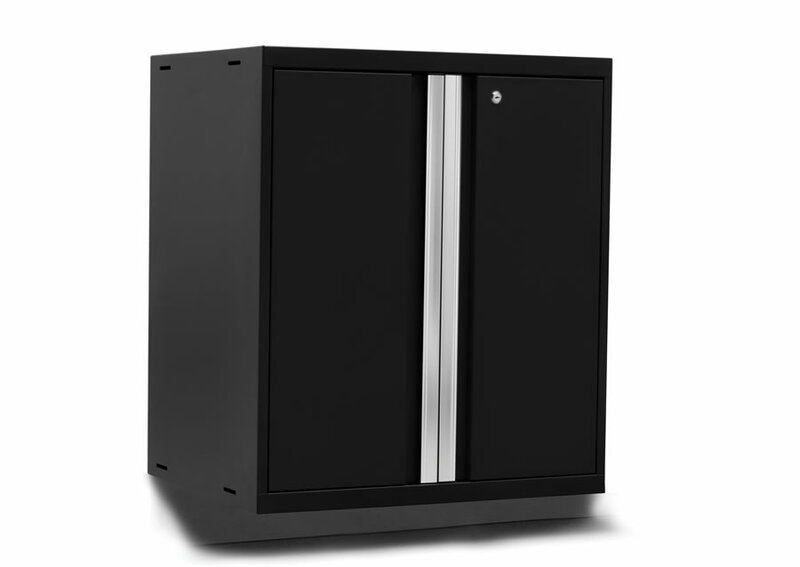 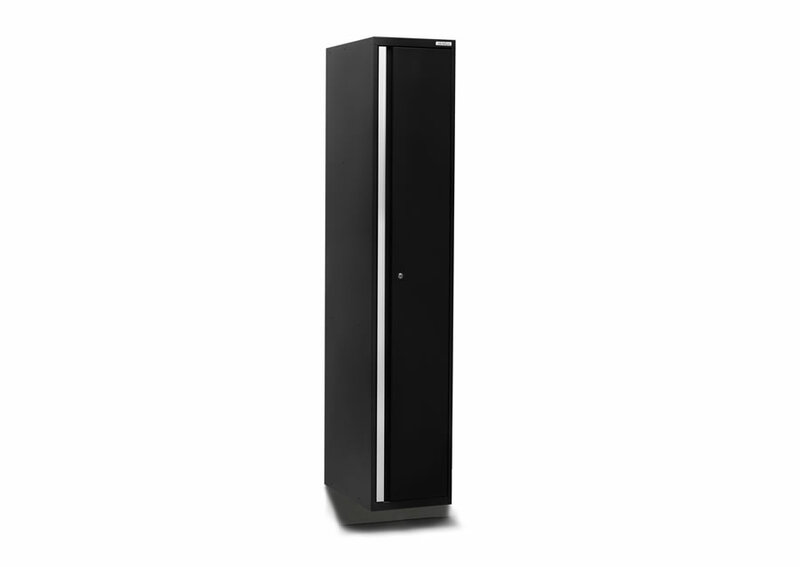 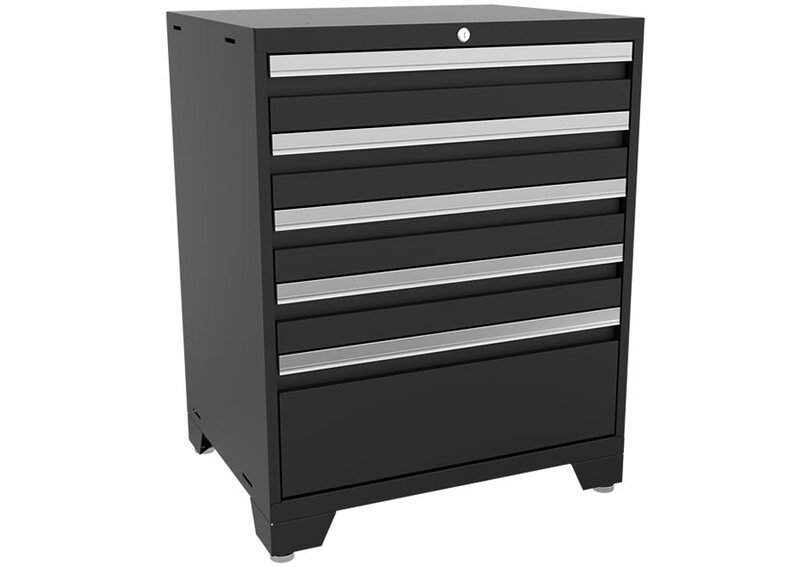 The PremierGarage Metal Cabinet Series is the epitome of garage cabinets, with fully-welded 18 gauge steel frames that provide exceptional structural integrity with a professional-grade feel. 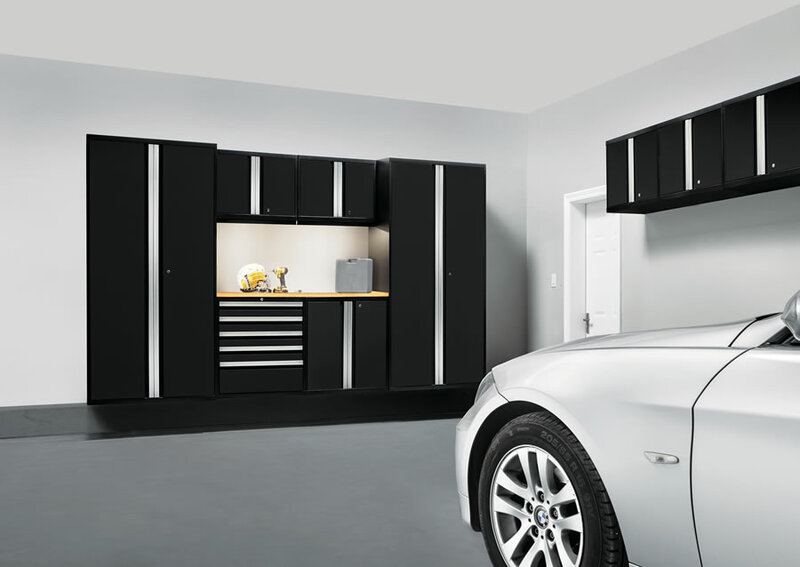 Sandtex industrial paint gives a scratch and stain resistant powder-coated finish that is the toughest available, in trending black with contemporary, full-length anodized aluminum handles. 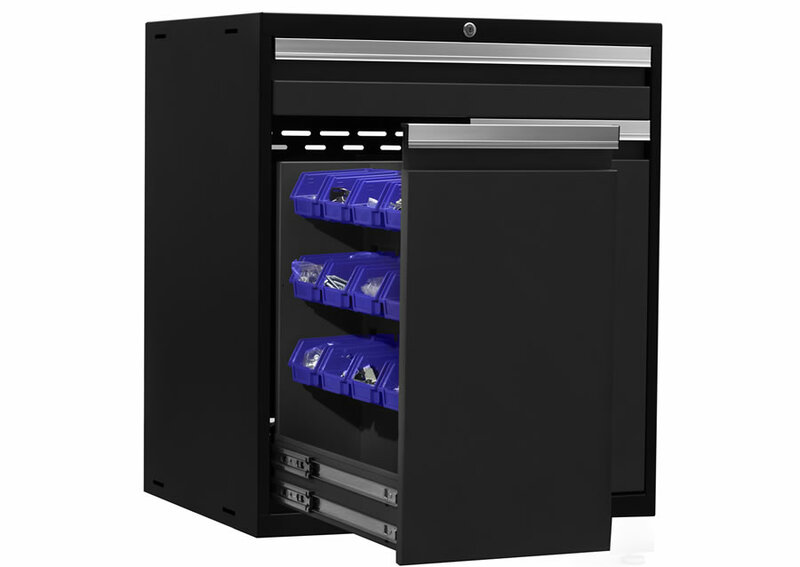 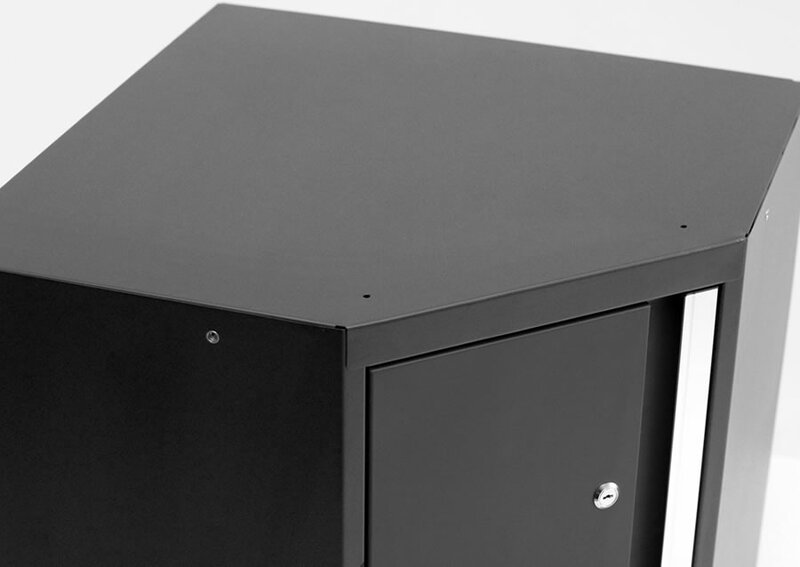 Standard on all garage storage components are fully-locking cabinets for maximum security and soft-close hinges on doors and drawers, making this series ideal for any upscale garage or commercial enterprise storage solution. 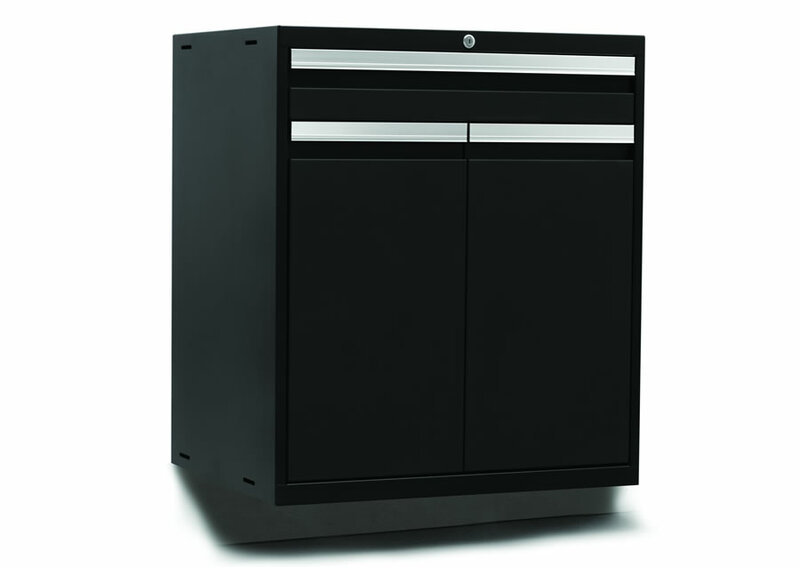 The Metal Cabinet Series specialty garage cabinet components allow you to customize just one wall or your entire garage with garage shelving through a combination of Multi-use Lockers, Sports Lockers, Base Cabinets, Five-Drawer Tool Cabinets, Multi-Function Cabinets, Wall Cabinets and Corner Wall Cabinets. 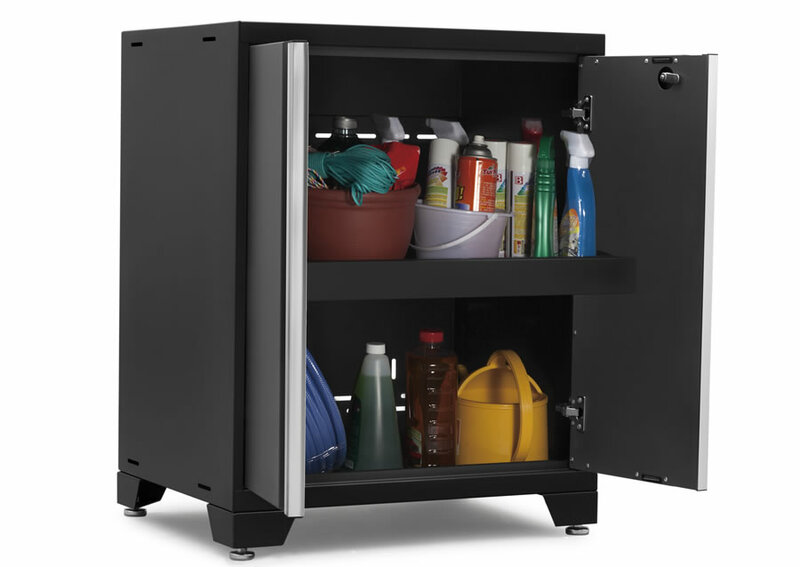 They fit together to present a seamless design of beauty and functionality for your every need.